From a link on G+, I was propelled into the galleries of Alex Mitchell (aka genesischant on deviantART artist and animator (writer and artist for Space Ninja). Mitchell does a lot of redesigning characters for other genres, such as a chambara Justice League (of which the Steel Man/Superman is pictured to the right). He has also done 1930s versions of the JLA as vigilante gang busters, while the Secret Society (of supervillains) are all mob bosses. The X-Men as Victorian-era spiritualist/occult based heroes and much m uch more. So much inspiration here for superhero games, Legend of the Five Rings, steampunk, Victorian-era games and more. Go take a look and see what takes your fancy. 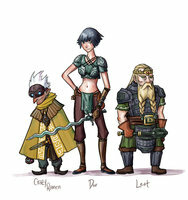 Oh, and he even has a piece inspired from back when he played D&D. IPG continues their hard work on building a coherent world for their Kingdom of Legends setting with Knights of France providing a good resource for knights and for an alternate history/fantastic vision of medieval France. If your campaign has a place for both, this will be an extremely useful source book, however if it only uses one of the other, the material will be of more limited value. Kingdoms of Legend: Knights of France is a 36-page PDF (33-pages if you remove the covers and OGL page) for the Pathfinder RPG written by Jason Rice and published by Interaction Point Games as part of their Kingdoms of Legend line. The necrourgist flexed his hand of living bone, the silver and ivory ring clicking along his finger. “To think it has come to this,” he sighed, looking over the assembled members of the Church of Light, their weapons shining with destructive radiance that carved through the animated dead of his outer guard. He glanced about his workshop, some of the items here would be difficult to replace but not as difficult as escaping the divinity-powered judgement the Churchmembers would inflict upon him. He sighed again, grabbing the nearest tome with his still living hand. One of the armored Church Warriors rushed him, he raised his living bone hand, channeling his will and magic though the ring. Black-veined lightning lanced through the knight and lashed at those beyond, as his soul was torn free from his body, the Necrourgist followed it, stepping from his lost lair to a distant street, where all was quiet. He looked around and nodded, this would do as a place to rebuild. These rings are usually made of intertwined ivory and silver, forged on bones of murdered victims, the interior is marked with tightly carved runes and magical symbols. The ring always feels cold. chest. Such an award was rare, especially among the lower ranks, but it was his third. Lorvik parried the spear and counter thrust, piercing the tribesman through the heart. He spun and barked a command to short up the right of the line. From his left came a shout. More tribesmen. He touched his fist clenched around the hilt of his sword to his medals and felt the strength of the kingdom flow through him. “Come on you dogs! Let us drive these savages back and show them the steel of civilization!” He took the lead and counter charged the advancing warriors. These come in a variety of forms from highly decorative designs on colorful cloth to simple markers of carved stone or metal. But part of what gives them their power is the public presentation of these markers of bravery and devotion. Then I had my only extended block of time to visit the exhibitors hall as my next game was not until 6pm. I made it a point to go down each and every one of the aisles, so I could at least glance at everything there. So many wonderful things, it was overwhelming but in a good way. So much creativity and passion about our hobby was on display. I caught up with Drew Baker and chatted a bit, Drew is a great guy and a wonderful artist so I always drop by to talk with him. 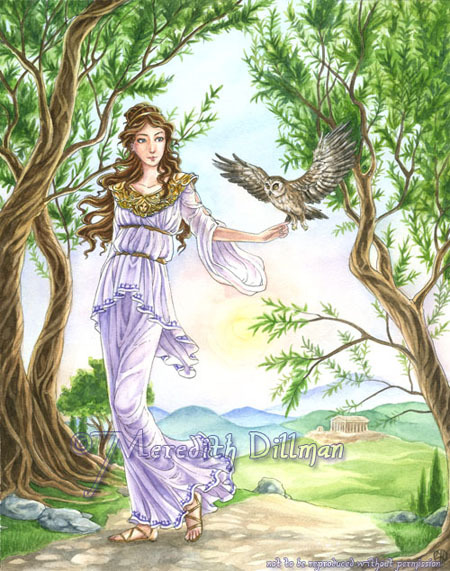 And broke down and purchased another piece of art, the charming young Athena to the right by Meredith Dillman along with a pendant from the same artist for Laura. Art ended up being my biggest block of purchases this year. Said hello to Adam Jury of Posthuman Studios. 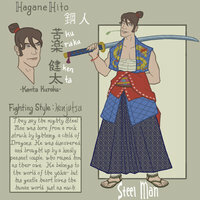 You are currently browsing the Sea of Stars RPG Design Journal blog archives for August, 2012.